The prophet Isaiah lived over 700 years prior to the coming of Christ and during the fall of Israel to Assyria. It was a time of political upheaval for the nation of Judah as they were definitely targeted by Assyria to be conquered next. Isaiah’s message is to “trust in the Holy One of Israel.” As He prophesies concerning the nations and provides a peek into the future fall of Assyria, the rise of Babylon and the captivity of Judah, he reminds God’s people to “wait on the Lord,” to be patient during affliction and be assured of a day that the Messiah would reign in righteousness and rule in justice. While Isaiah’s exhortation in this verse is to those suffering Babylon captivity, it’s a message for all nations and all times. 1. 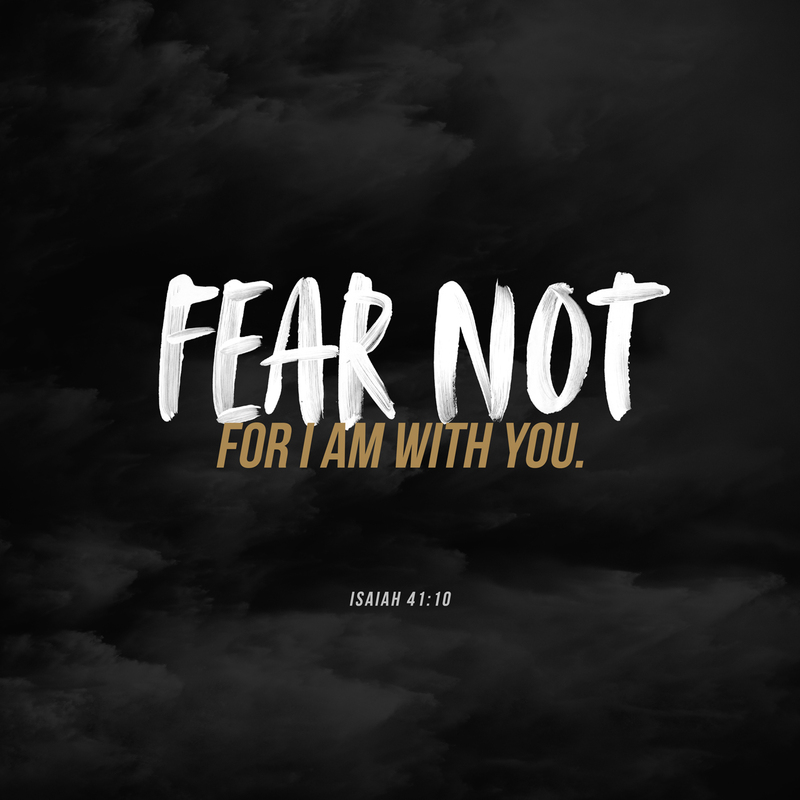 Fear Not. It is said there are 365 exhortations in the Bible to “fear not”–one for every day of the year. According to a recent survey by Chapman University, some of people’s top fears in America include corruption in government, pollution of drinking water, not having enough money for the future, the death of loved ones, global warming, and high medical bills. Some fears are real. Others are imagined. But one thing is for sure, fear will paralyze us. Fear creates anxiety. Fosters helplessness. Harms heath. Impairs good judgment. Creates suspicion. Causes cowardice. Limits vision. Kills dreams. And breeds uncertainty. Fear is definitely a formidable foe to our faith. (3) Be not dismayed. The word “dismayed” means to look around in a state of alarm or danger. Because of God’s promise, we can keep calm. Be secure. And possess peace of mind. (4) I am your God. He is “the Lord of hosts.” He is all knowing. All powerful. Ever present. Our foes are no match for His power and might. When we personally know and enjoy a relationship with Jehovah as our God, we have nothing to fear. (5) I will strengthen and help you. God will enable us to endure trouble, bear every trial, and perform every task. With our prayers, by His providence and through His people, we can overcome our anxieties, and subjugate Satan. (6) Upheld by God’s right hand of righteousness. This phrase is a Hebrew expression that speaks to God’s faithfulness. It is God’s righteousness that supports and sustains the oppressed from the abuse of the oppressor. As we grow in faith, hope and love, the “God of all comfort” will soothe our spirits, settle our minds, and subdue our fears. Face your fears. Feed your faith. And fill your heart with joy, hope, and peace.